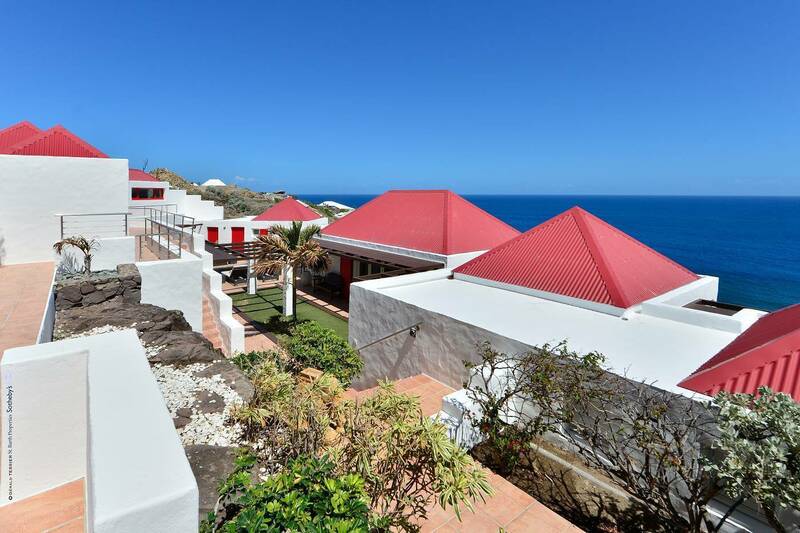 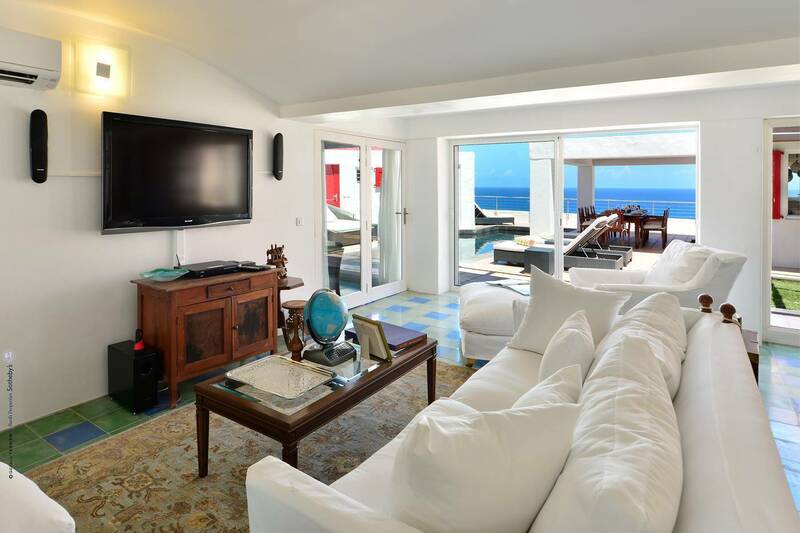 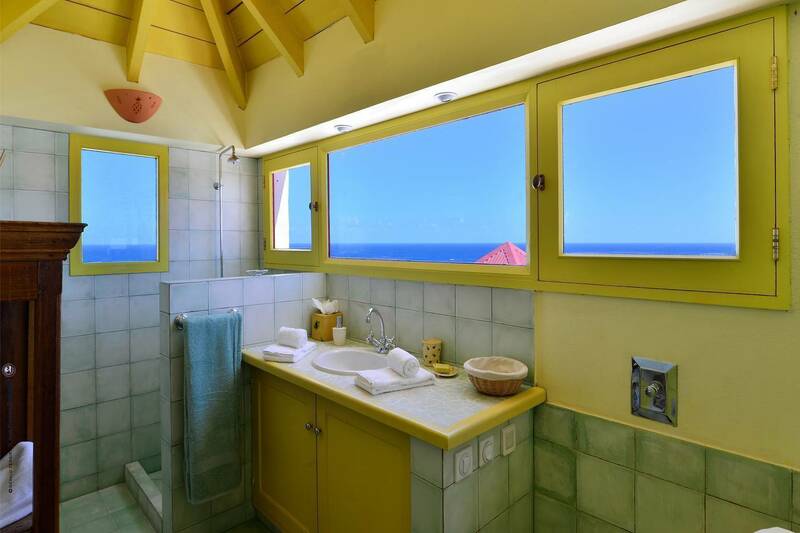 Cliffside in desirable Pointe Milou, this four bedroom, five bathroom villa compound is built on two levels and architecturally designed – via multiple glass walls – to showcase the stunning view of the sea and offer protection from the wind. 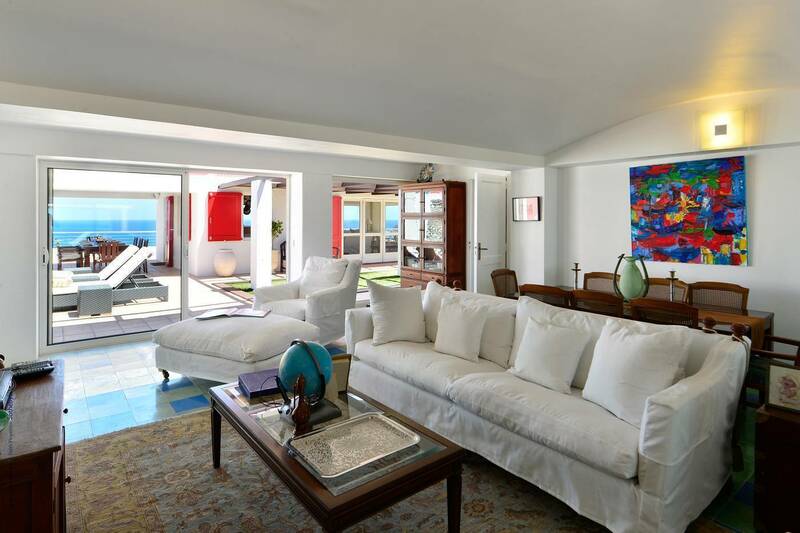 The main living room, gourmet kitchen and dining area are in a large glass-enclosed pavilion. 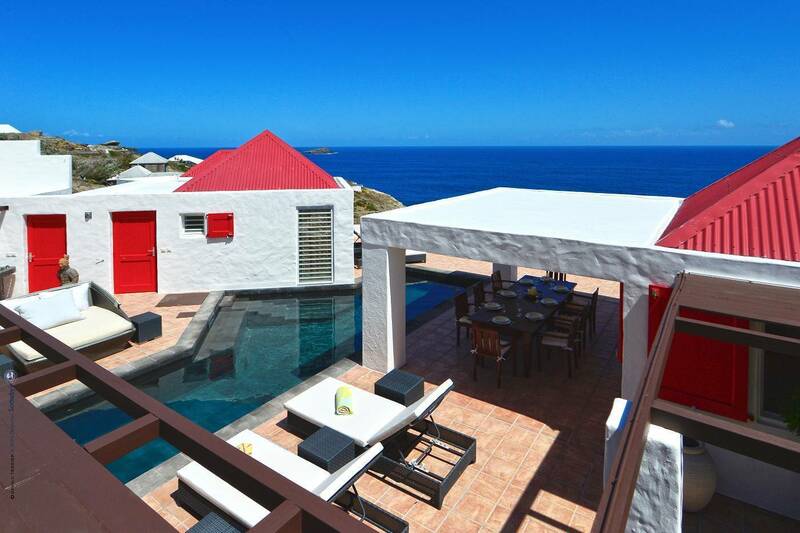 The swimming pool and covered dining terrace are adjacent. 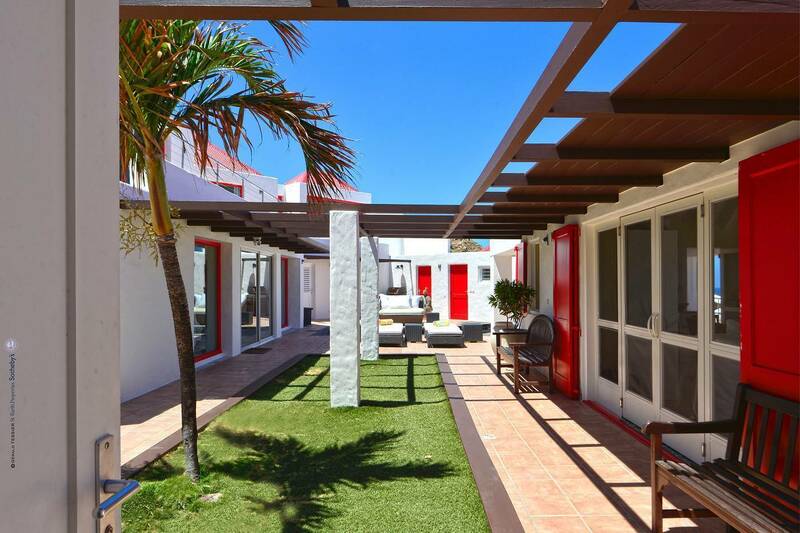 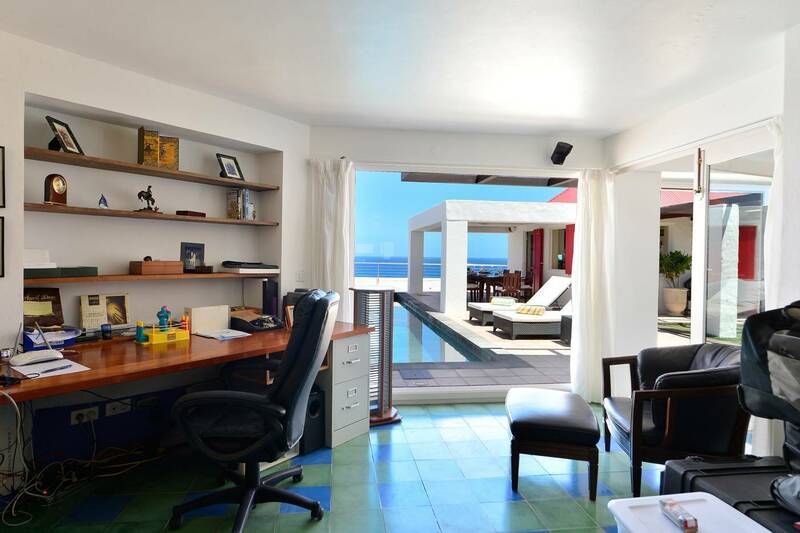 Behind the pool, there is an additional air-conditioned living room, an office and a full bath. 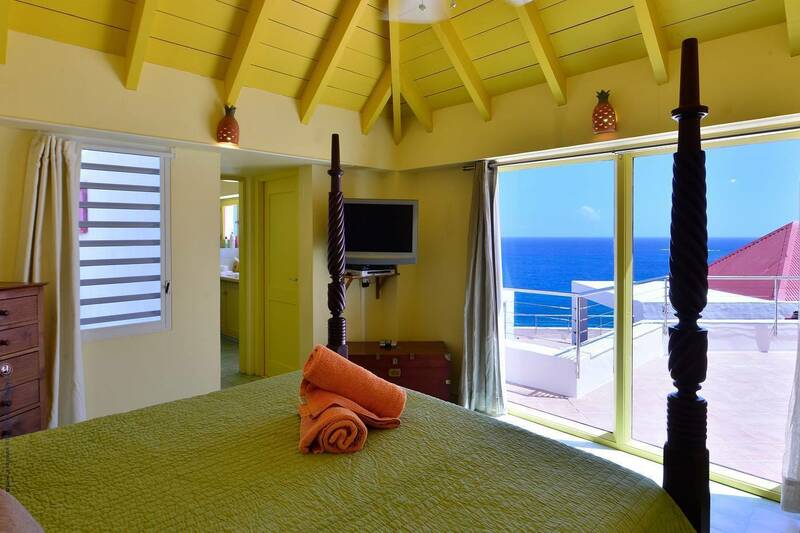 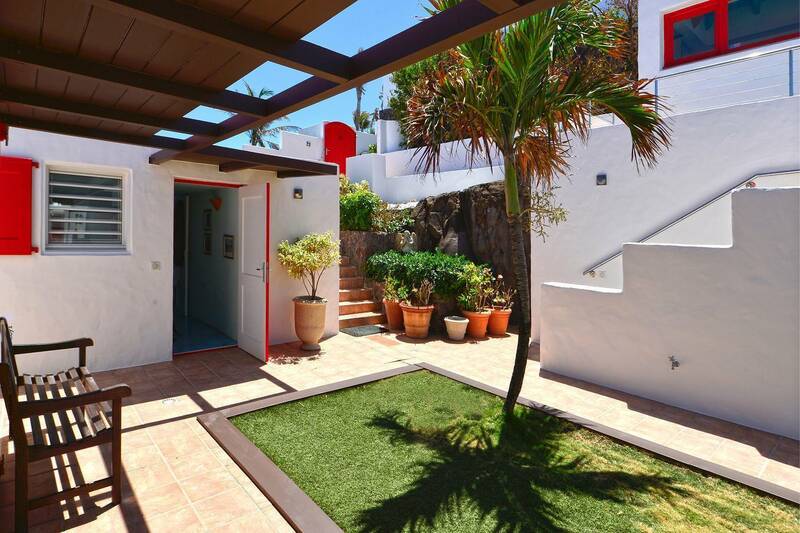 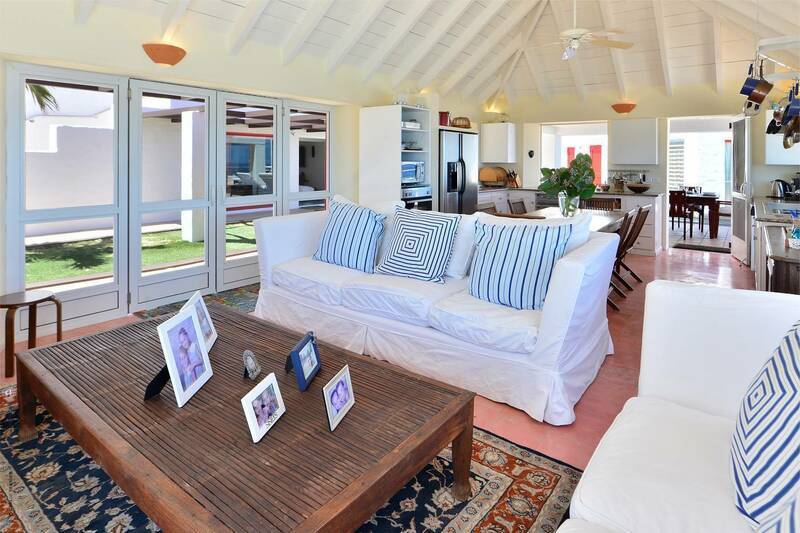 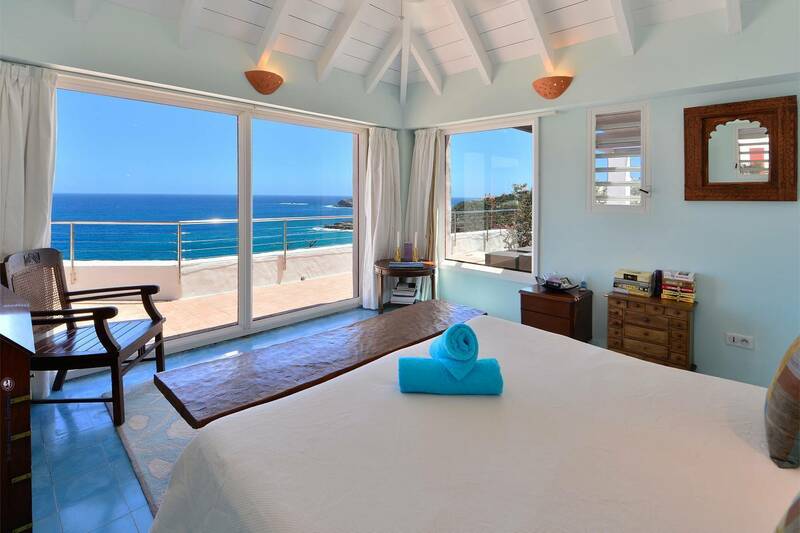 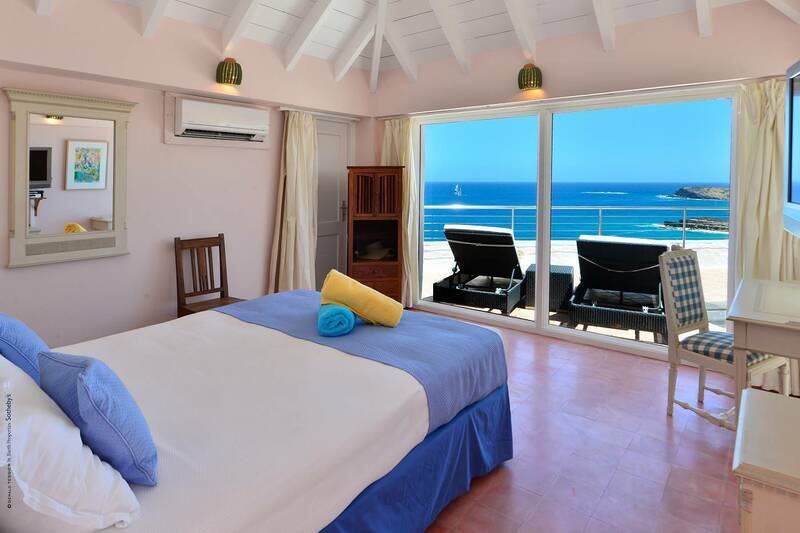 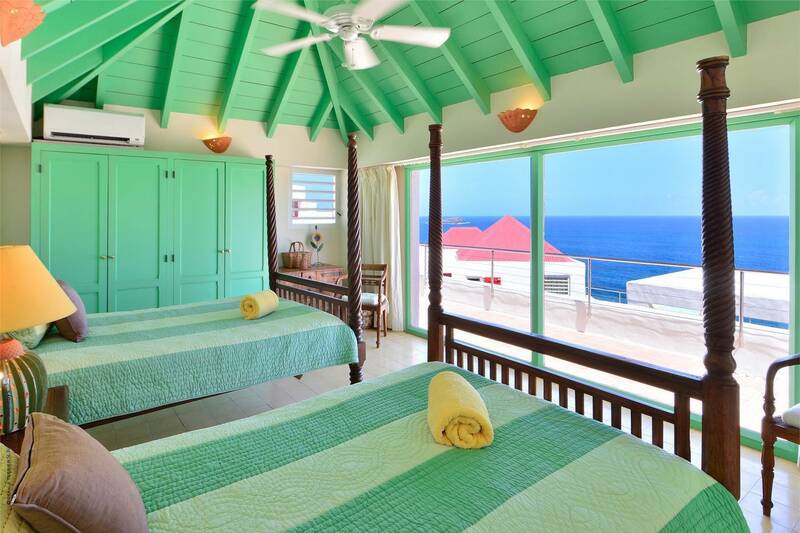 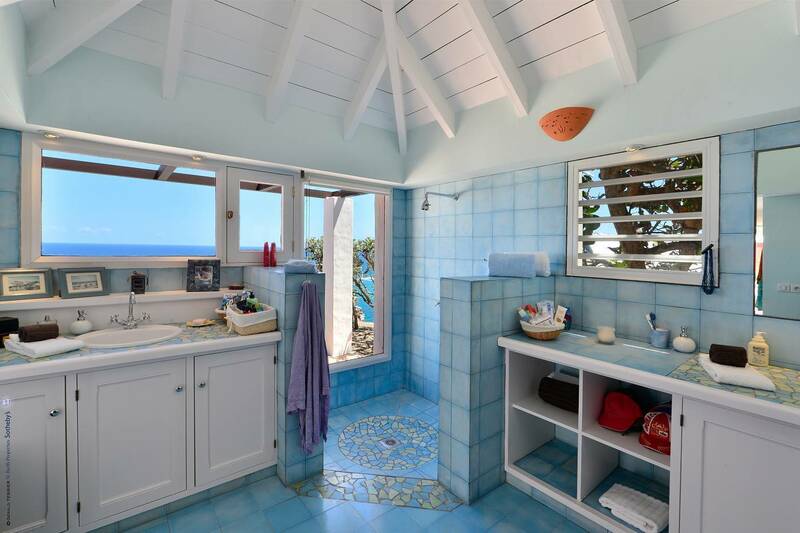 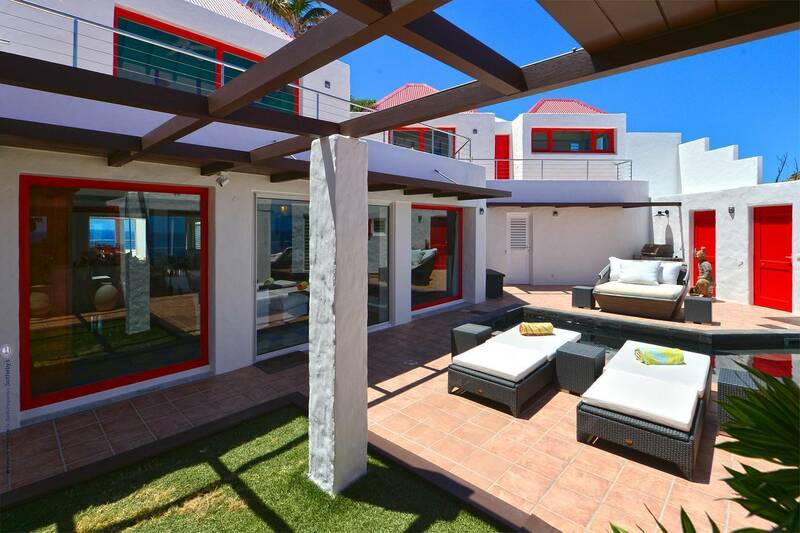 Two master bedrooms with en suite baths and lovely views are located on either side of the villa’s main level. 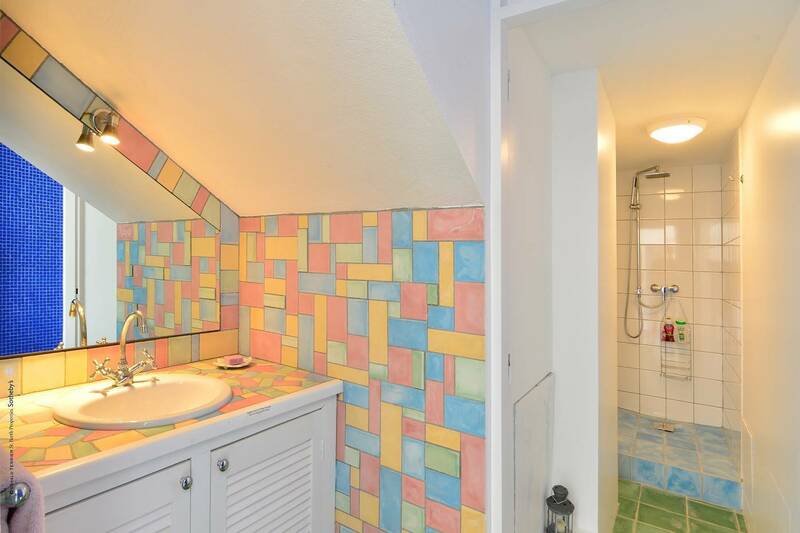 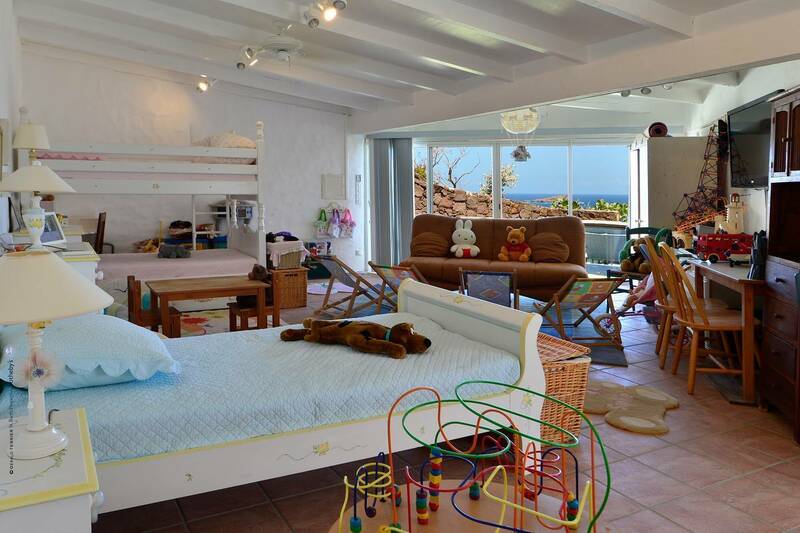 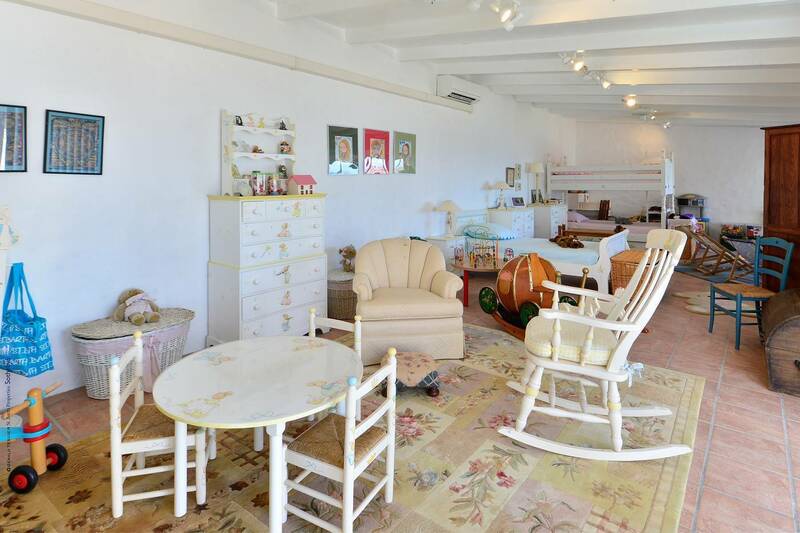 Two more en suite bedrooms with sea views and a playroom are on the upper level. 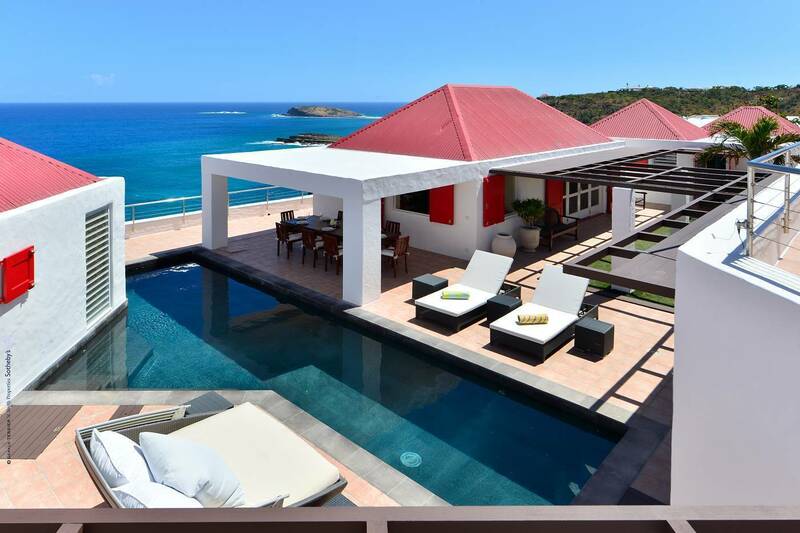 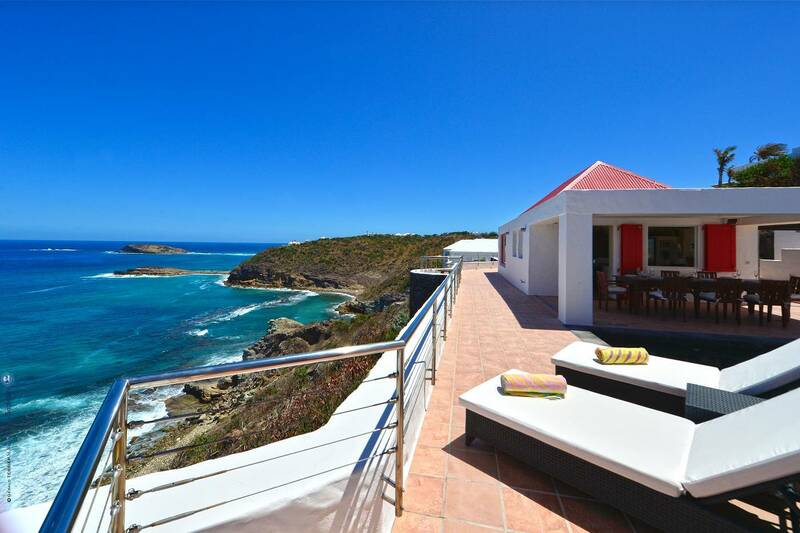 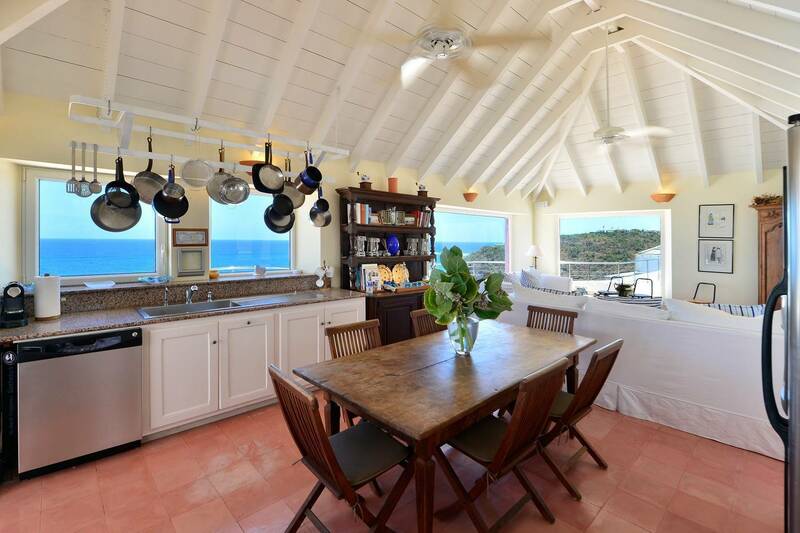 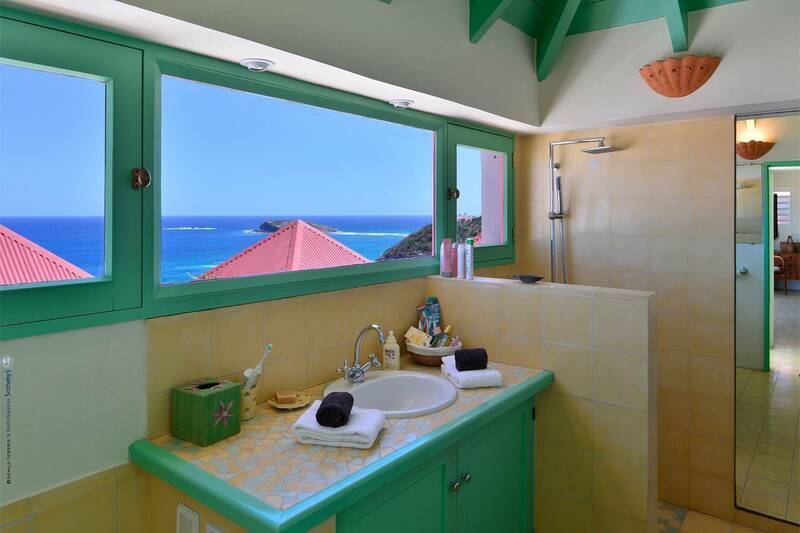 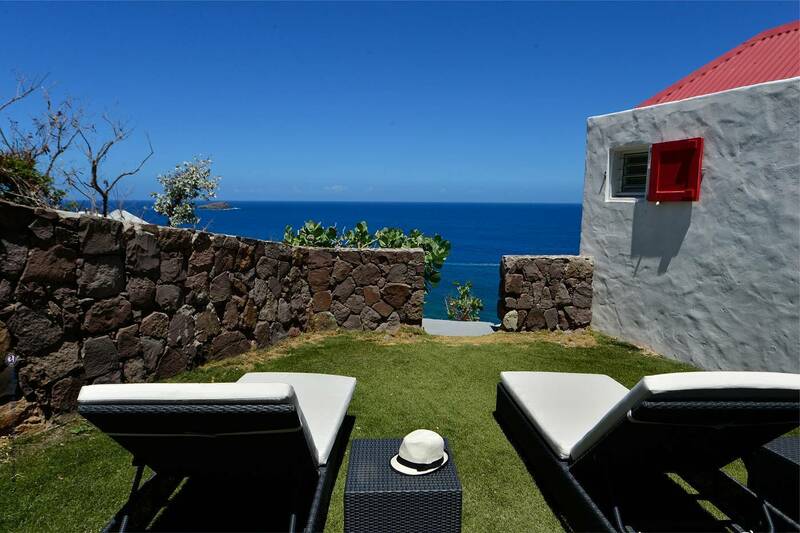 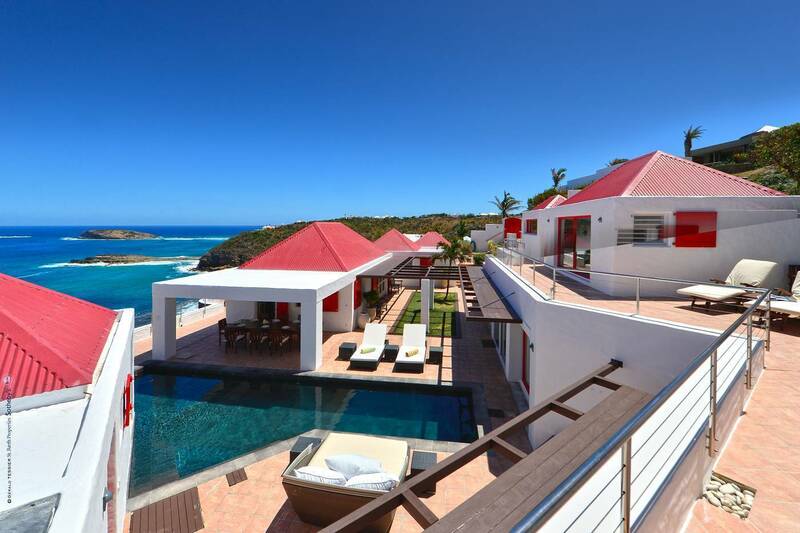 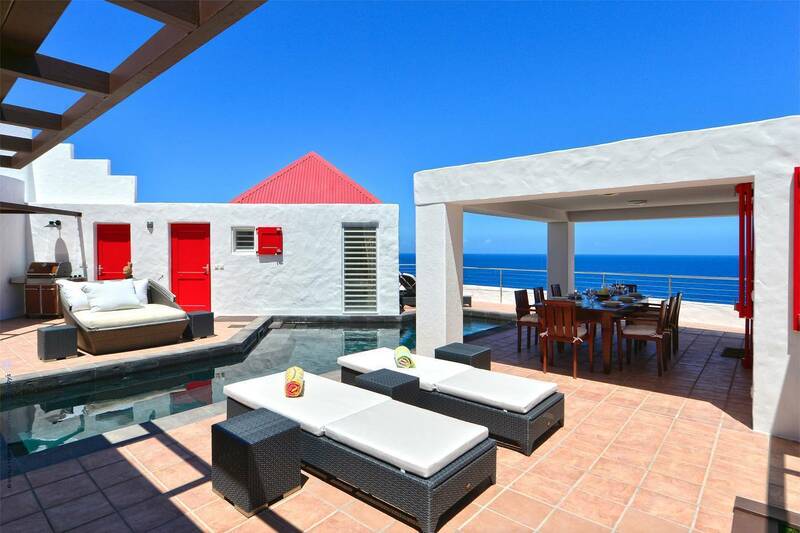 The land below the villa is in a Green Zone, ensuring Villa Henri Bay’s privacy and spectacular views. 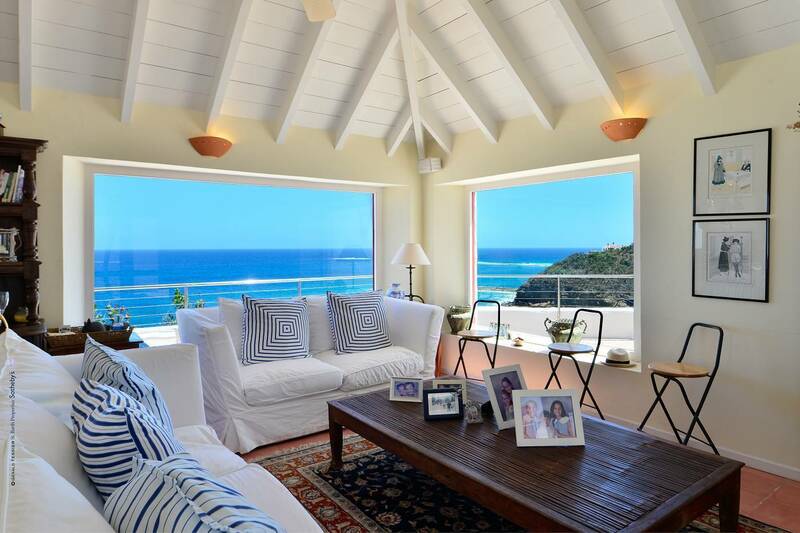 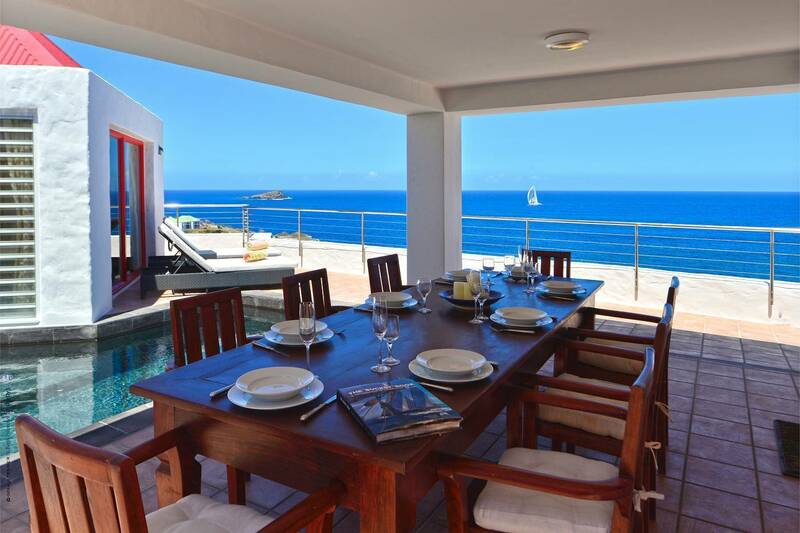 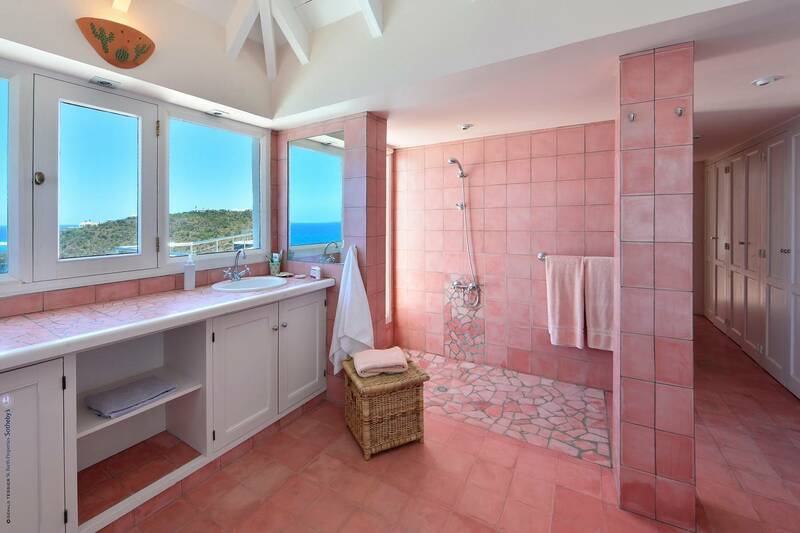 The glass walls showcasing stunning views of the sea. 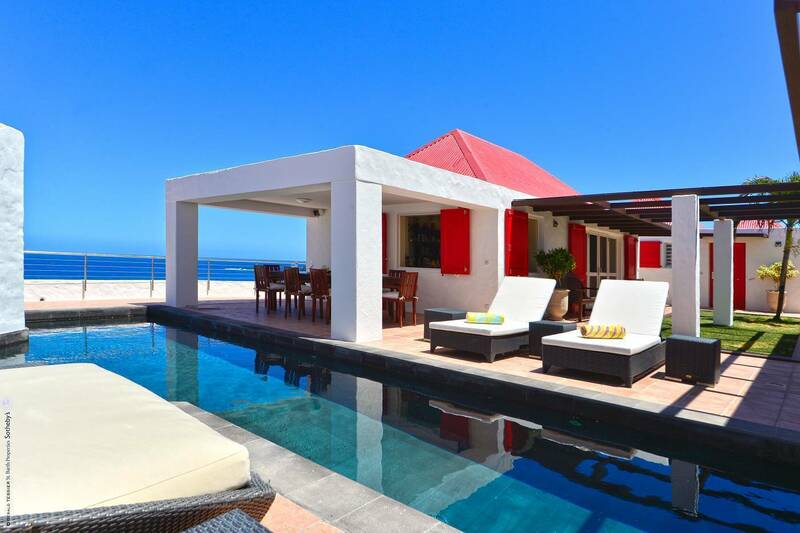 Multiple pavilions, five bathrooms, indoor and outdoor dining, swimming pool, two living rooms, and an office. 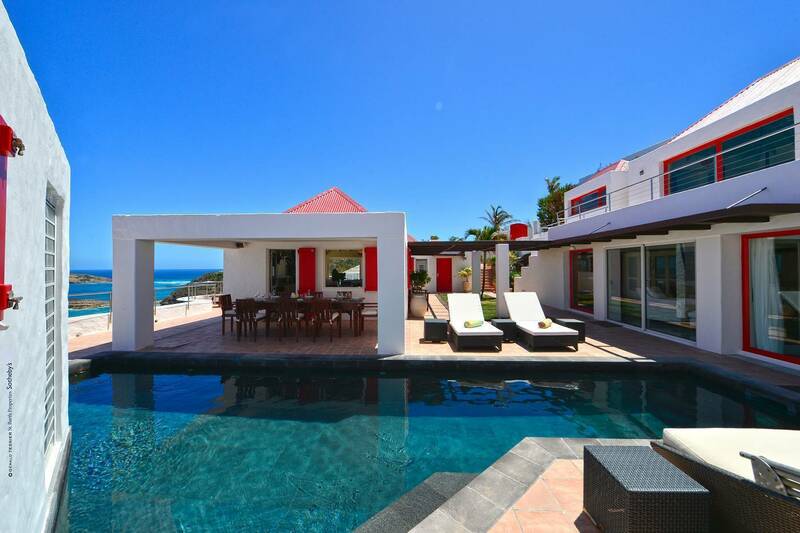 Constructed on two levels there are four en suite bedrooms two are pool level and the others are upper level.